Married by proxy as a child, Lady Isidore has spent years fending off lecherous men in every European court while waiting to meet her husband. 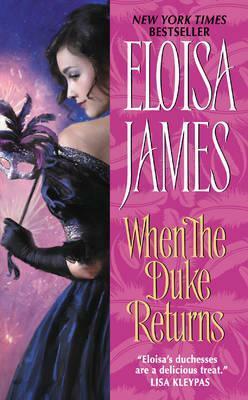 She's determined to accept him, no matter how unattractive the duke turns out to be. When she finally lures Simeon Jermyn back to London, his dark handsomeness puts Isidore's worst fears to rest--until disaster strikes. Forsaking his adventuresome past, Simeon has returned to London ready to embrace the life of a proper duke, only to find that his supposed wife is too ravishing, too headstrong, and too sensual to be the docile duchess he has in mind. But Isidore will not give up her claim to the title--or him--without a fight. Yet in forcing Simeon into a delicious surrender, will Isidore risk not only her dignity--but her heart?